The TS Performance 1110402P MP-8 Pro is designed to increase power, efficiency, and performance in your 2008-2010 Ford 6.4L Powerstroke. The MP-8 installs by simply connecting to your factory wiring harness, making it an easy and reversible installation without the need to cut or splice any wiring under the hood of your truck. Once removed, the module is also undetectable. 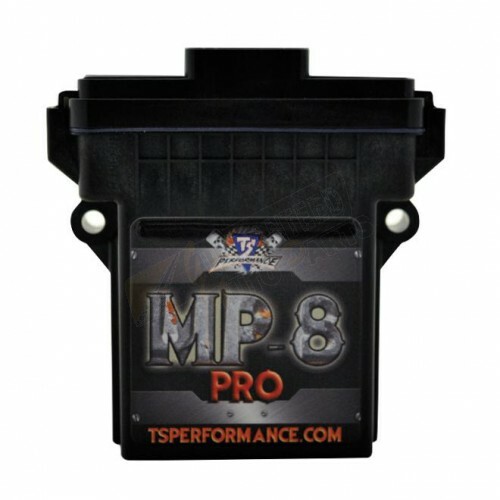 The MP-8 comes with a switch you can mount inside the cab to adjust your power if you choose to. Typical gains are +100HP & +200 Lb-Ft of tq.